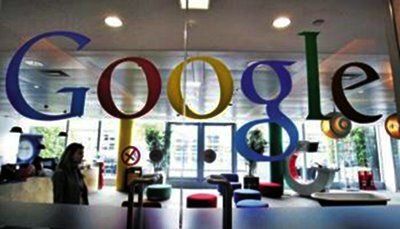 To improve the job search experience for users across India, Google has launched a new search experience that makes it easier and quicker for job seekers to find relevant employment opportunities. Users can now directly type in the related job profile into the web and get job listings from across the popular job listing websites, online classifieds, and companies. To have a comprehensive job list, Google has partnered with Aasaanjobs, Freshersworld, Headhonchos, IBM Talent Management Solutions, LinkedIn, QuezX, QuikrJobs, Shine.com, T-Jobs, TimesJobs, and Wisdomjobs. The search will also allow users to refine the results using filters, save the job listings they like, share them with their contacts, and sign up for job alerts.This feature is currently available in English on the Search app on Android and iOS, and in Google Search on the desktop and mobile. To help MSMEs make their job discoverable, Google has also released open documentation, using open structured schema.org web markup standards that Google supports in this new search feature. "In Q4 last year, we saw more than a 45 percent increase in the number of job search queries, and this number is continuously growing. However today, the job search experience is not always effective. On the other hand companies -- especially SMEs -- that are the largest job creators are often unable to make their listings discoverable. This new job search experience powered by our partners and our open platform approach attempts to bridge this gap," Rajan Anandan, Vice President India & Southeast Asia, said. Now, when users search for "jobs near me," "jobs for freshers," or similar job-seeking queries, they will see a special module that can be expanded. Clicking on any job in this listing opens an at-a-glance view of comprehensive information about the posting such as job title, location, whether it is full-time or part-time, and several other details. From here, users can directly proceed to the job listing page on the website and apply there.